Your post 16 options decisions are some of the most important you will make as they either open up or close down routes for your further study, work or training. Specialising can be good at this point, especially if you have a specific course or career in mind. However, for most people the best idea post-16 is to keep as many options open as possible. Politics can offer at A Level. For any more advice please feel free to chat to your History teacher. Past HGS students talk about why they chose to study History. Year 11 A Level Options Video from A Ford on Vimeo. Remember the importance of your GCSE grades: Some universities may ask for a specific number of GCSEs (or their equivalent). For example, a number of medical courses ask for five (sometimes more) A* grades. Take this into account when you are considering your future options - if A*s at GCSE are important for what you want to do then ensure you will get them. As harsh as it may sound, there is little point in setting your heart on a career in medicine if your GCSEs are unlikely to make the grade. Good reasons to choose a post-16 course include: You have been good at and have enjoyed the subject in the past; You need this subject to enter a particular career or course; You have not studied the subject before but you have looked into it and think it will suit your strengths. Remember it is important that your decisions are taken on the basis of accurate information and clear thinking. Whatever you choose now will commit you to certain directions at university and perhaps rule out certain careers. As much as you may wish to remain cool about this decision, it does matter. How Can I Keep my Options Open? Many courses at university level build on knowledge which you will gain whilst still at school. However, there are some subjects that are required more often than others. These subjects are sometimes referred to as facilitating subjects as they open up your options to do a variety of degree level qualifications. These include: Mathematics and Further Maths, English, Physics, Biology, Chemistry, Geography, History, Languages (Classical and Modern). By choosing facilitating subjects at advanced level, you will have a much wider range of options open to you at university. An advanced level qualification in any facilitating subject will keep open to you a number of degree courses. What does the History Department Offer? The files below give an outline of what you can expect from A Levels in History or Politics. 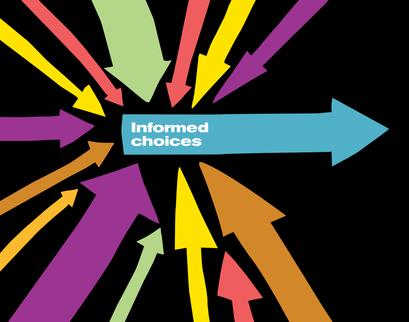 Have a good look at the options open to you, bearing in mind that History makes an excellent facilitating subject choice for many university courses including Law, Medicine, Engineering, Art & Design etc.